Product prices and availability are accurate as of 2019-03-14 23:26:07 UTC and are subject to change. Any price and availability information displayed on http://www.amazon.com/ at the time of purchase will apply to the purchase of this product. Vibrant, fun and comfortable are a just a few words to explain this pillowcase. 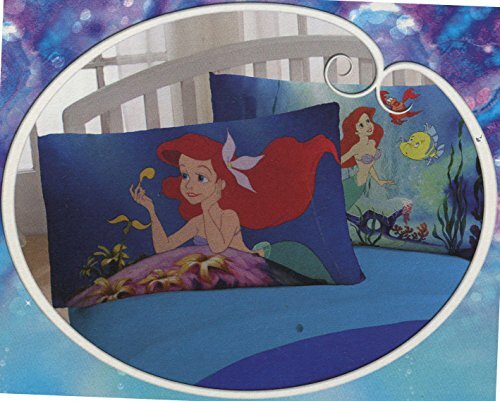 One side functions Ariel day dreaming and the other side Ariel swimming in addition to pals Sebastian and Flounder. Measures 20" by 30" Made from 60% cotton and 40 polyester Soft and comfortable Machine Washable Officially Licensed Limited Edition Pillowcase!